A man has been charged with wilful fire-raising aggravated by religious and racial prejudice after a fire broke out at Edinburgh Central Mosque in Potterow. 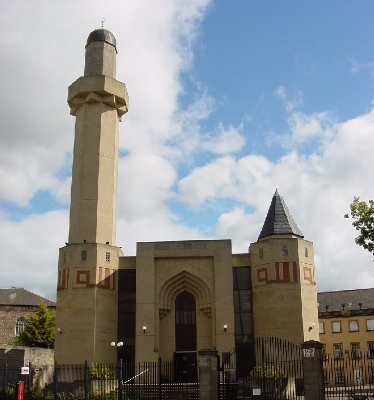 Thomas Conington, 28, appeared in private before Sheriff Kevin Drummond at Edinburgh Sheriff Court on Monday after a flaming object was hurled at the mosque on the early hours of Sunday 18th September. No plea or declaration was made and the case was continued for further inquiry. Mr Conington was remanded in custody. Following the hate crime, around 200 people gathered to show solidarity the Muslim community on 20th September. The rally was organised by Unite Against Fascism Scotland. The front door of the building was damaged in the attack but no one was injured. Speakers included members of the Muslim Women's Association of Edinburgh as well as local politicians. Asian Express contacted Unite Against Facism Scotland for a comment and are awaiting a response.